Nationally renowned broadcast journalist Susan Stamberg is a special correspondent for NPR. Stamberg is the first woman to anchor a national nightly news program, and has won every major award in broadcasting. She has been inducted into the Broadcasting Hall of Fame and the Radio Hall of Fame. An NPR "founding mother," Stamberg has been on staff since the network began in 1971. Beginning in 1972, Stamberg served as co-host of NPR's award-winning newsmagazine All Things Considered for 14 years. She then hosted Weekend Edition Sunday, and now reports on cultural issues for Morning Edition and Weekend Edition Saturday. One of the most popular broadcasters in public radio, Stamberg is well known for her conversational style, intelligence, and knack for finding an interesting story. Her interviewing has been called "fresh," "friendly, down-to-earth," and (by novelist E.L. Doctorow) "the closest thing to an enlightened humanist on the radio." Her thousands of interviews include conversations with Laura Bush, Billy Crystal, Rosa Parks, Dave Brubeck, and Luciano Pavarotti. Prior to joining NPR, she served as producer, program director, and general manager of NPR Member Station WAMU-FM/Washington, DC. Stamberg is the author of two books, and co-editor of a third. 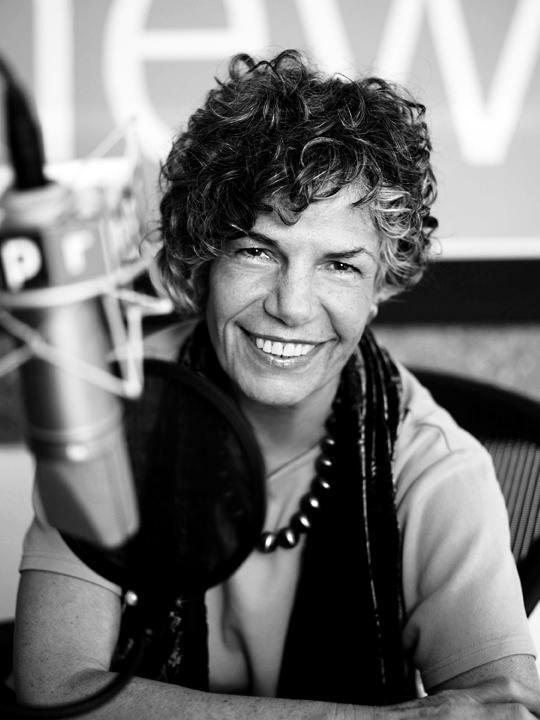 Talk: NPR's Susan Stamberg Considers All Things, chronicles her two decades with NPR. Her first book, Every Night at Five: Susan Stamberg's All Things Considered Book, was published in 1982 by Pantheon. Stamberg also co-edited The Wedding Cake in the Middle of the Road, published in 1992 by W. W. Norton. That collection grew out of a series of stories Stamberg commissioned for Weekend Edition Sunday. In addition to her Hall of Fame inductions, other recognitions include the Armstrong and duPont Awards, the Edward R. Murrow Award from the Corporation for Public Broadcasting, The Ohio State University's Golden Anniversary Director's Award, and the Distinguished Broadcaster Award from the American Women in Radio and Television. 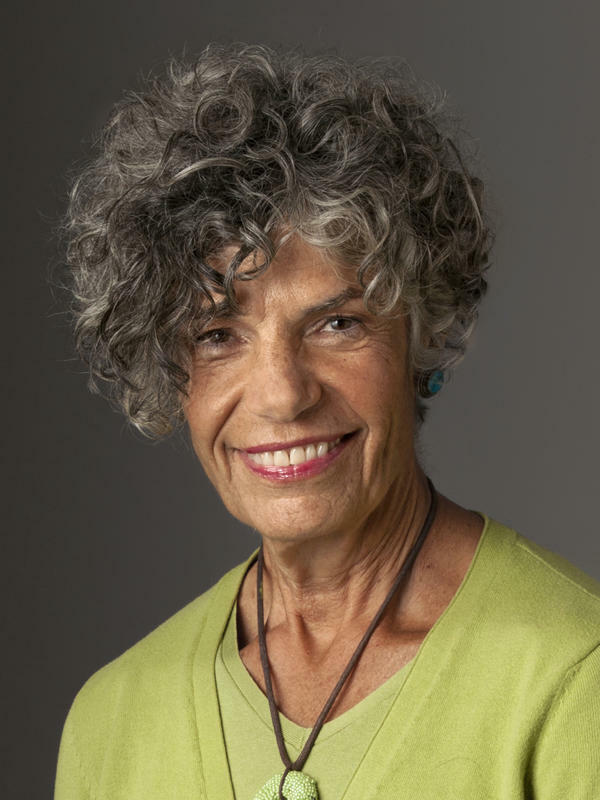 A native of New York City, Stamberg earned a bachelor's degree from Barnard College, and has been awarded numerous honorary degrees including a Doctor of Humane Letters from Dartmouth College. She is a Fellow of Silliman College, Yale University, and has served on the boards of the PEN/Faulkner Fiction Award Foundation and the National Arts Journalism Program based at Columbia University's Graduate School of Journalism. She is a fellow of the American Academy of Arts and Sciences. Stamberg has hosted a number of series on PBS, moderated three Fred Rogers television specials for adults, served as commentator, guest or co-host on various commercial TV programs, and appeared as a narrator in performance with the St. Louis Symphony Orchestra and the National Symphony Orchestra. Her voice appeared on Broadway in the Wendy Wasserstein play An American Daughter. Her late husband Louis Stamberg had his career with the State Department's agency for international development. Her son Josh Stamberg, an actor, has appeared in various television series, films, and plays. Rufus Hale was just 11 years old when artist David Hockney painted his portrait. Rufus' mother was making a movie about the prolific, octogenarian artist, and brought her son with her to work one day. 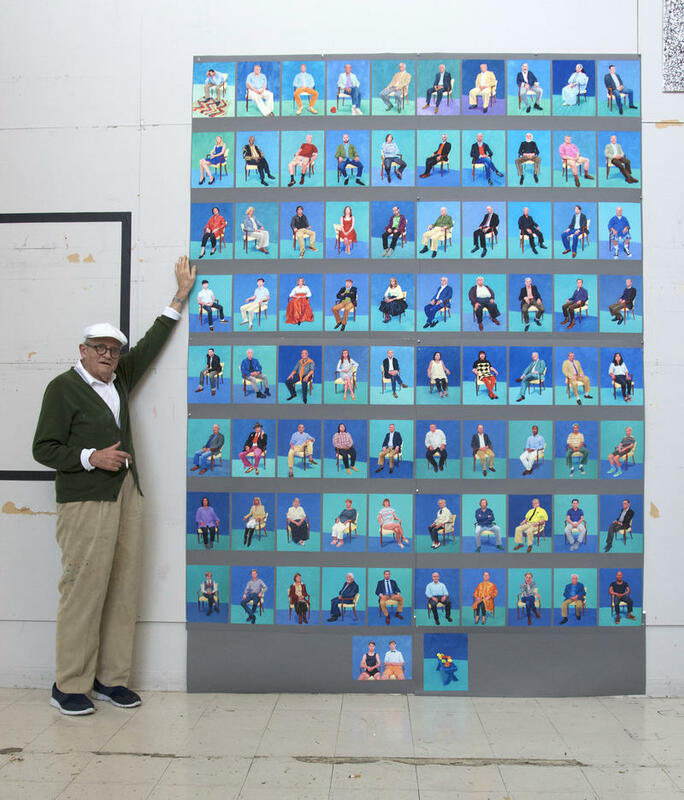 He was sketching in the corner of the studio when Hockney asked, "Why don't I paint you?" Now Rufus' portrait is among 82 currently on display at the Los Angeles County Museum of Art, in an exhibit titled "82 Portraits and 1 Still-life." For the past almost-50 years, I've been sharing an old family Thanksgiving recipe with NPR listeners. 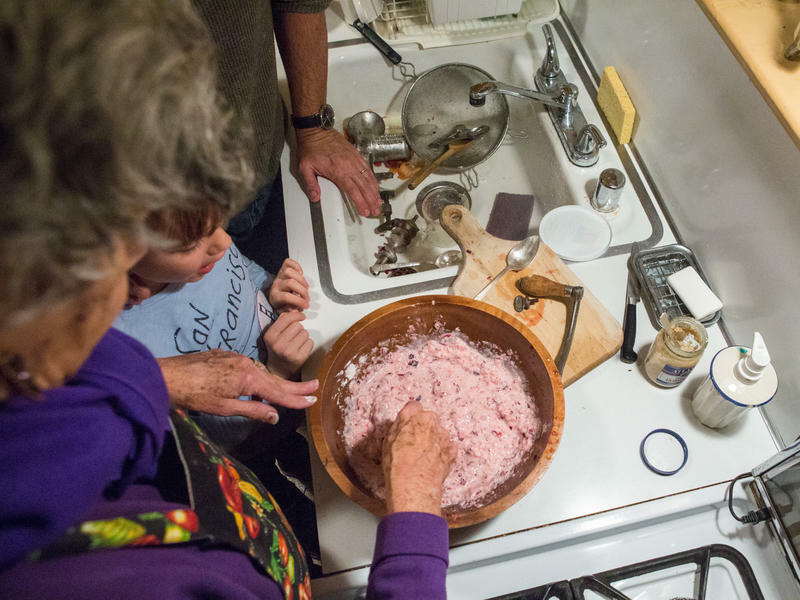 Mama Stamberg's Cranberry Relish comes from my late mother-in-law Marjorie Stamberg, who served it in Allentown, Pa., when I was brought there to be inspected by my future in-laws. 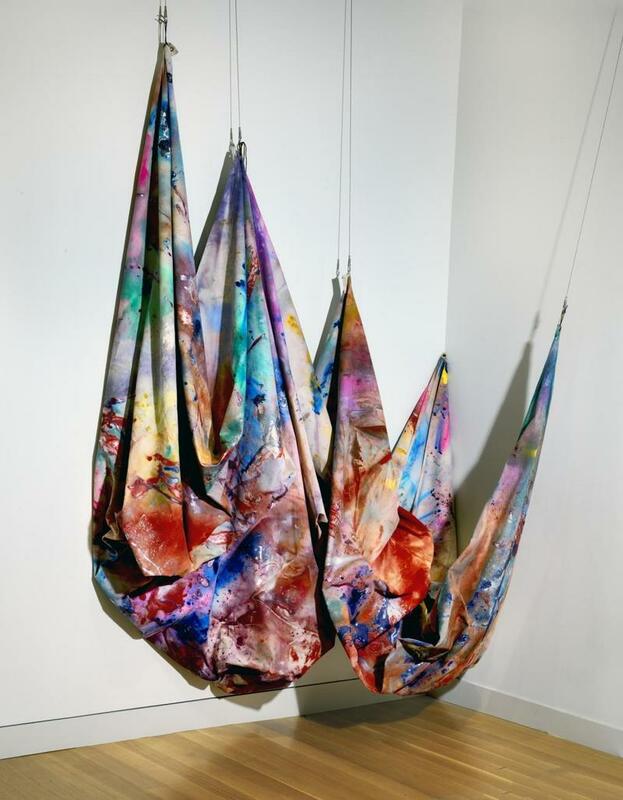 Dutch Artists Painted Their Patriotism With Pearls And ... Parrots? Johannes Vermeer's Young Woman Seated at a Virginal doesn't quite look like a Vermeer painting. The titular young woman is klutzy at her keyboard, and graceless. 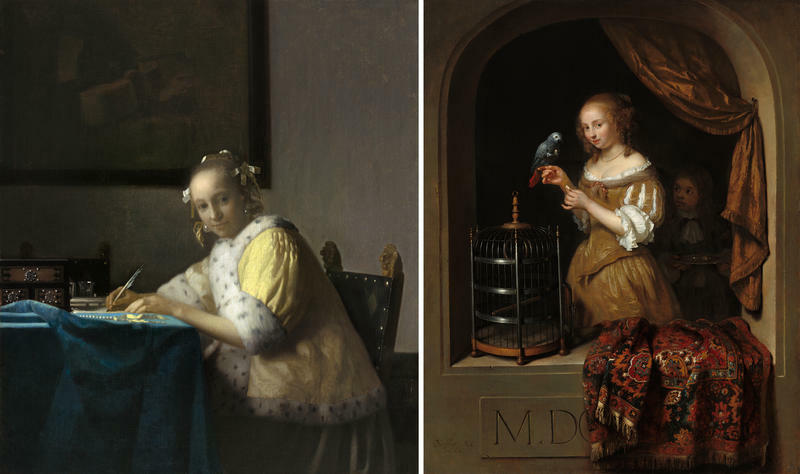 She's also sitting in a dark room — none of that ethereal, luminous light Vermeer normally shines on his subjects. Vermeer created the painting in 1675, when he was in his early 40s and broke. It was the last year of his short life. National Gallery curator Arthur Wheelock says, "We know that he dies suddenly and may be ill, so I don't know what effect that might have on this [painting]."